UFC on FOX 30 equals can’t-miss TV. The UFC returns to FOX this weekend (July 28, 2018) with one of the best main card offerings since signing their TV deal with the network back in 2011. 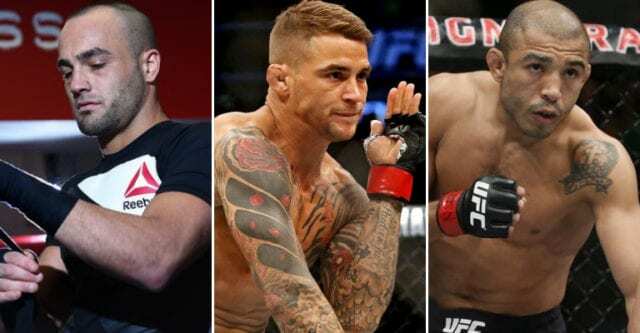 The Scotiabank Saddledome in Calgary, Alberta, Canada will host this weekend’s event that will feature three former UFC champions on the main card. 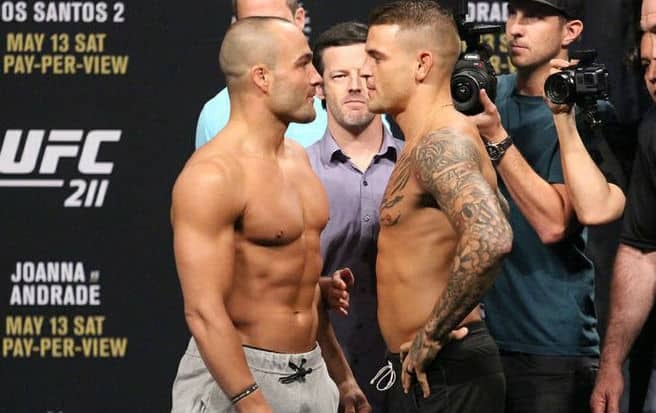 Former UFC lightweight champion Eddie Alvarez will rematch “The Diamond” Dustin Poirier in the evening’s main event. 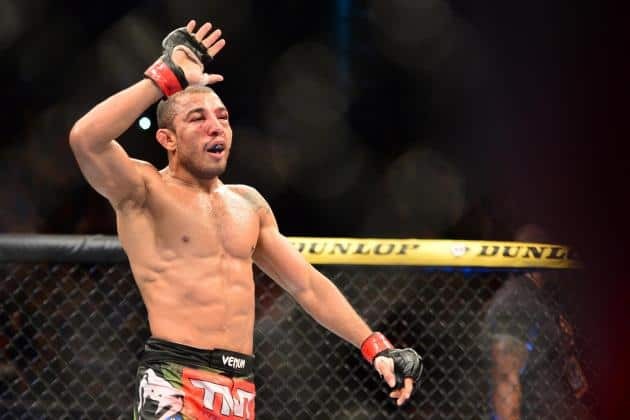 Former longtime featherweight king Jose Aldo will take on surging veteran Jeremy Stephens in the co-main event. Former strawweight champ Joanna Jędrzejczyk will fight Tecia Torres, while Olivier Aubin-Mercier will meet Alexander Hernandez in a pivotal lightweight showdown. If we learned anything from the first time these two collided back at UFC 211, it is that neither of these guys has an ounce of quit in them. At 34 years old, Alvarez may not be the fighter that was once considered the best lightweight outside of the UFC. That being said, “The Underground King” has had something of a career resurgence as of late and looks to continue his path back to the lightweight title against Poirier. “The Diamond,” however, has different ideas. The 29-year-old Poirier is riding a three-fight win streak and looks to make it four straight against the former champ at UFC FOX 30. The Lafayette, Louisiana, native has turned a lot of heads in his rise to the top of the lightweight division and looks to continue his ascent to the title against Alvarez. This one should be a war like their first match-up was, with tons of damage being landed on both sides. In the end, I think Poirier rides his recent momentum to a hard-fought victory. Jose Aldo is the questioned GOAT of the featherweight division. The Brazilian held the UFC title for over four years, a feat that is almost unheard of in MMA. 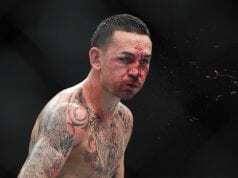 Be that as it may, Aldo has been in some wars during his tenure as champ, and although he is only 31 years old, his body has accumulated far more wear and tear than his age would lead you to believe. Stephens, on the other hand, is 32 years old and has experienced a second-half resurgence of his career that few fighters ever see. “Lil Heathen” will look to make it four straight wins against Aldo and in so doing setting himself up for a title shot in the near future. This is another fight that could be a striking war. Stephens appears to have a lot more confidence and momentum at this point in his career, and we just don’t know what Aldo has left after three knockout losses in his last four fights. 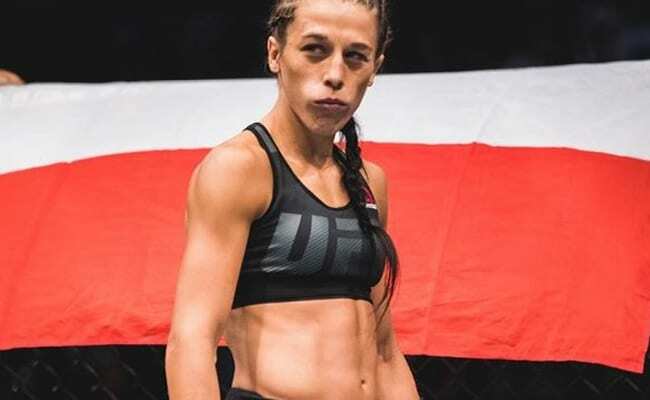 Thought to be by far the best strawweight fighter in the world during her decorated run as champion, Jedrzejczyk is on a quest to redeem herself and win back the 115-pound strap. If Jędrzejczyk is to get a third match-up with current division champion Rose Namajunas she must first get past a “Tiny Tornado”. Torres enters UFC FOX 30 on a one-fight skid. However, she believes that an impressive victory over Jędrzejczyk will put her right back in title contention. Be that as it may, this should be Jedrzejczyk’s fight to lose. She owns a decided advantage over Torres on the feet – and over most of the women dcompeting in the strawweight division – so expect her to outwork Torres on her way to a clear-cut decision win. Hernandez made quick work Beneil Dariush in his debut at UFC 222, finishing the veteran in just 42 seconds. “The Great” boasts a 9-1 record, and he is riding a seven-fight win streak. At just 25 years old the future looks bright for this Texas native. 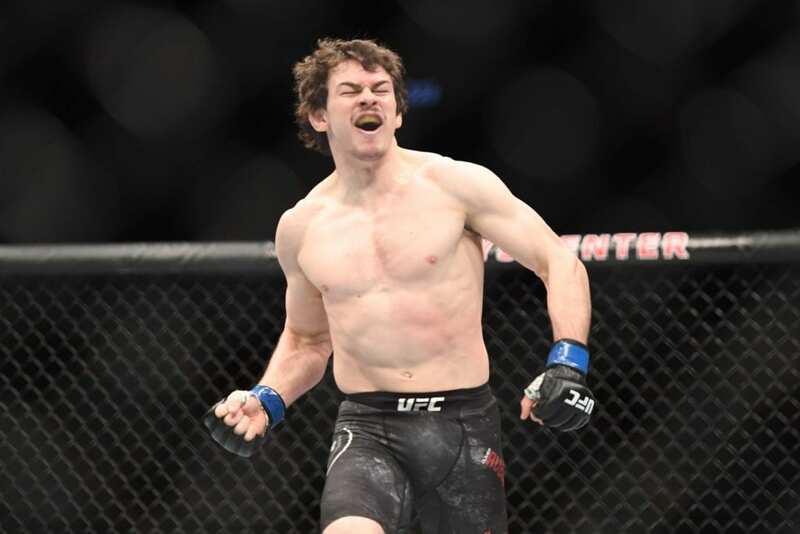 Olivier Aubin-Mercier is tasked with derailing the young fighter’s hype train at UFC FOX 30. “The Quebec Kid” has won seven of his last eight fights and a win over Hernandez could cement his place in the top 10 of the lightweight division. This one is a bit of a classic striker vs. grappler match-up, with Aubin-Mercier obviously attempting to clinch and get the fight to the ground while Hernandez will be looking to strike and score the KO. I think the massively powerful “Great” will be able to impose his gameplan more effectively.